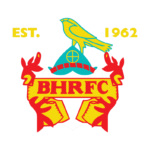 Pre season match report – 26/08 vs Bancroft. 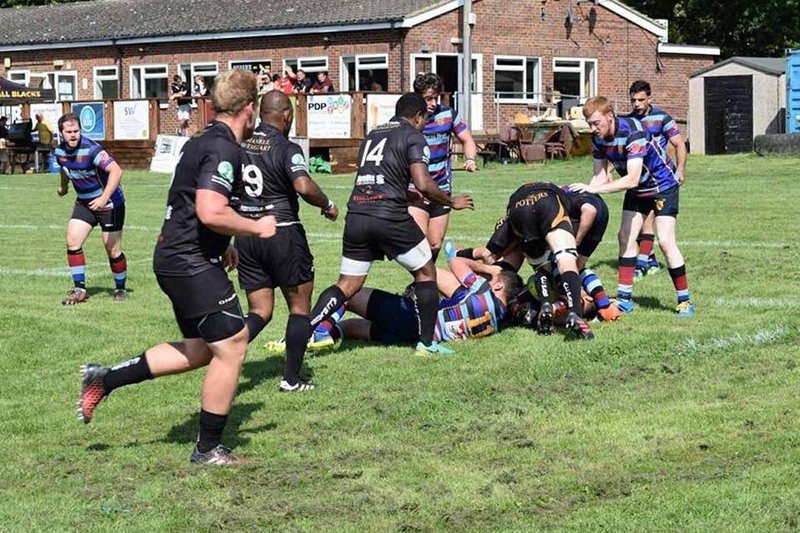 Last Saturday, the Sussex All Blacks hosted Bancroft from Essex in their second pre season fixture. The All Blacks had a squad of 28 including 4 debutants. The opening 10 minutes were pretty even with most of the rugby being played between the 22s. Bancroft had a solid scrum, excellent no.8 and good back 3. In response the All Blacks defence stood strong. The first score of the game came following turnover at the ruck. The ball was spun wide where fly half Rich Fleming found prop Lee Collingbourne in midfield. Like a Hippo running for its watering hole, Collingbourne went sprinting towards the line. The diminutive Bancroft full back was last man standing. Collingbourne considered stepping but instead splashed down over him to score. A break in play ensued as the Bancroft full back was pulled free from Collingbournes “power belly”. This score spurred the All Blacks on and they began to dominate proceedings. The forwards were carrying well with the second row of Tim Daniel and Russ getting through a load of work. The back row of Christian Jones, Josh Wren and Jordan Sayers were also eating up the yards with ball in hand. In the backs the new half back combination of Bone Matemosi and Rich Fleming were creating opportunities for the centre pairing of George Yeates and John Rainima. The next try came from a break in the centres that saw the ball carried on by the forwards. At the ruck, Bone dummied to pass and crashed over for the converted score. Next on the score sheet was Tim Daniel. Following a great run by full back Liam Hopwood that inevitably saw him leave the field with a papercut, the ball was spun wide to winger Mathues Gava. Gava was felled by the excellent tackling of the Bancroft back line and a ruck was set up. Tim Daniel picked up and was driven over by his second row partner Russ for the converted score, 26-0. Club President, James Shillaker collected his winnings from the “How long will Liam Hopwood last sweepstake”, correctly guessing “not long”. The next score came from head coach OJ who was on at scrum half for all of 8 minutes. He collected a high ball and went on a run before putting in a grubber kick. He chased the ball hard and the bounce saw the ball land back in his hands where he raced on 40 metres to score under the posts for the converted score to end the half, 33-0. That evening OJ promised to buy himself a lottery ticket. At half time the All Blacks rolled the changes with 2 debutants coming on and some second team regulars making the step up. Notable performances came from the half back pairing of Jon Maple and Dave Tyrrell who orchestrated proceedings like virtuoso conductors. In the engine room Simon “bed time story teller” Eyre and new lock Kyle were adding some size, power and athleticism (Eyre was just the size). The next try came from some great carries by the back row that saw the ball spun wide to Lee Hubble on the wing who talked about how great he was which in-turn paralysed his opposite man before passing to fellow winger Luke Rokosau who scored in the corner. George Yeates now playing full back who had look good all afternoon was next on the score sheet when following a flowing backs move he used his rickets looking side step to beat a man before diving into score in the corner. Maple showed his 25 years of senior playing experience and converted from the touchline with a blind fold on whilst riding a unicycle, 45-0. It was now one way traffic with forwards and backs passing well across the park. A turnover by Wren now up to prop saw the ball spun wide where outrageous South Sea offloads saw Rokosau canter in for the unconverted score, 50-0. The final score for the All Blacks was a crowd favourite that saw Russ now back on at No.8 go on a maisy run with ball in one hand like he was carrying a pizza before passing to his back row colleagues who in turn passed back inside for him to dot down between the sticks, 57-0. In the last 10 minutes Bancroft lead by their excellent No.8 pounded at the All Blacks line and on the final whistle their 8 crashed over for the well deserved score under the posts to end the game 57-7. The All Blacks will be pleased with the result but still have a few things to work on following the recent law changes. To score 86 points to 7 over the last 2 games however shows their attacking intent. Next Saturday sees the official reopening of the club house with the 1’s hosting higher league opposition in Crawley and the 2’s hosting Hellingly 2’s.